Nothing is sweeter, as everyone knows, than tiny baby fingers and chubby baby toes! 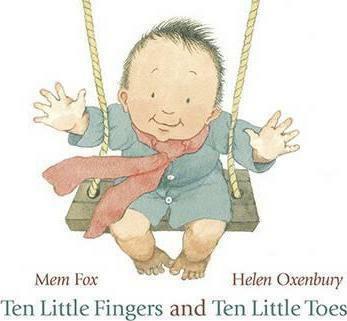 With Mem Fox's gently rhyming text illustrated by Helen Oxenbury, best loved as the illustrator of the classic nursery join-in picture book We're Going on a Bear Hunt, Ten Little Fingers and Ten Little Toes will fast become the essential book for baby playtime - and the perfect gift for a new arrival! Mem Fox is the acclaimed author of many popular children's books including Possum Magic, which is a best-selling children's book in Australia, with more than one million copies sold. In addition to writing children's books, she is a senior lecturer in education. Mem lives in South Australia with her husband. Helen Oxenbury is among the most popular and critically acclaimed illustrators of her time. Her numerous books for children include the Kate Greenaway Medal-winning Alice's Adventures in Wonderland by Lewis Carroll; Smarties Book Prize-winning Farmer Duck (978-0-7445-3660-7) by Martin Waddell; We're Going on a Bear Hunt (978-0-7445-2323-2) by Michael Rosen; as well as her classic board books for babies. She lives in London.